The Steens For Kids MDF single bed in a white painted finish fits a 90cm wide by 200cm long continental single mattresses which is supported by a sturdy slatted base. 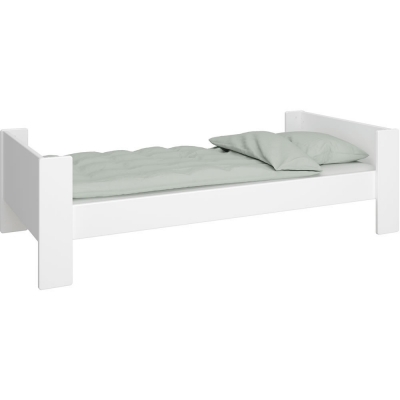 Made from good quality MDF with a white painted finish the Steens single bed is perfect for both boys and girls bedrooms. When your child's needs change or as they get older the Steens MDF single bed can be converted with simple bed extension kits. Fast UK Mainland Delivery: 7-14 business days.